Writing for Africa in Words in May 2014, Dustin Zacks presented a case for the inclusion of African Literature in American legal academia. The case for the inclusion of African literature, or any other literature for that matter, in East African legal academia is however yet to be made. As Zacks noted, there is a lot of European and American Literature referenced in American legal academia. Kafka, Shakespeare, Hemingway and Dickens stand tall on many a syllabus of major American law schools offering Law and Literature modules and have been cited hundreds of times in American legal scholarship. One might therefore expect the works of p’Bitek, wa Thiong’o, Adichie, Achebe or Armah among other prominent African writers to be a staple in East African legal academia. And yet incredibly Law and Literature as a field of study in East Africa remains invisible. It is safe to expect that no law school, at least in Uganda, offers students an opportunity to contextualise and study the law through literary works. In many ways, the current methods of teaching Law in much of East Africa do not inspire critical thinking and reflection among students. Lectures, case-reading and analysis, among others are not the most engaging ways to learn the law. Bringing fiction, drama and poetry to the law classroom offers a possibility for students to go beyond understanding the letter of the law to humanising and contextualising its text. Laws affect human beings and life. Often, in the way it is taught in East Africa, the lives of subjects of the law are not explored beyond their moment in the courtroom. Studying fiction that explores human lives and how the law interfaces with these lives will in the end build more humane lawyers. With the rising prominence of the critical legal studies, postmodern and postcolonial critiques of the law from scholars such as Prof. Roberto Unger of the Harvard Law School, Edward Said, and Frantz Fanon, one would have expected room to have been created for African literary writers on the table of legal scholarship. But in many ways the concept of law as it is taught in East Africa today is as was done in a colonial frame! There are significant opportunities presented by postcolonial African Literature responding to the colonialism and imperialism phenomena which have not yet been harnessed by the legal academia. Chinua Achebe’s Arrow of God, for example, in which a native chief in an Igbo village, Ezeulu, is imprisoned after rejecting the colonial administrator’s offer of a position in the colonial structure, would offer a good perspective to the study of legal history. Similarly, a study of Ousmane Sembene’s God’s Bits of Wood, in which striking native workers on a colonial railway project organise against the colonialist, would provide a humanised and much needed context to many a constitutional history of a formerly colonised African state. Many a country in East Africa is still grappling with land rights issues due to the colonial imposition of an exploitative land tenure system that disowned natives of their land, and availed the same for capitalist exploitation. Ngugi wa Thiong’o and wa Mirii’s ‘I will marry when I want’ dramatises this neo-colonial condition in which the church, the state and global capital unite to disown poor Africans of their land. Beyond merely studying what the colonial law said and says, law students would benefit much from historical context through the humane eyes of literature. There is hope from the African Gender and the Law perspective. 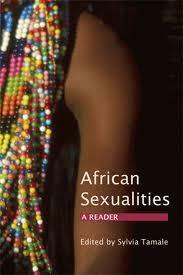 Although the Makerere University Gender and the Law reading list may not include Tsitsi Dangarembga’s Nervous Conditions that tells the coming of age story of a girl in colonial Rhodesia with all the gender bias of capitalist patriarchy in the mix, a recently published volume titled African Sexualities (Fahamu/Pambazuka, 2011), edited by Makerere Associate Professor Sylvia Tamale, includes works of African Literature, alongside academic writing and memoir. Some of the contributors to the volume include Chimamanda Ngozi Adichie, Juliane Okot Bitek, Jumoke Verissimo and Yaba Badoe. This is important for the connection between law and reality comes alive through literature. Literature enables the student to see, hear, feel, smell, and taste the impact of the law at a personal level. I want to finish by offering some practical suggestions for how literature might be incorporated in the existing legal curriculum. Broadly this could be tackled in two major ways: as an independent course-unit (module) and also through main-streaming it in all course-units as a pedagogical tool. As an independent module, the course instructor has options of form and substance to work with, namely law in literature, literature in law and law as literature. 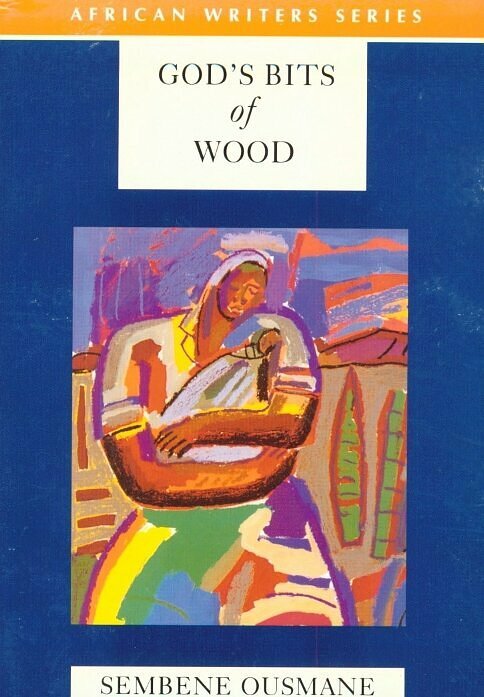 Law in literature explores legal issues as explored in literary texts, for example looking at the labour exploitation during apartheid South Africa through Peter Abrahams’ Mine Boy. Literature in law follows Okot P’Bitek’s argument in Artist the Ruler, Essays on Art, Values and Culture, based on poet P.B Shelley’s postulation, that “poets are the unacknowledged legislators of the world”. Literature is treated as a source of law. Judgements and legislation are analysed to find influences of literary figures and works. Law as literature looks at the literary attributes of the law, by analysing judgements in the same way novels, plays and poems are critiqued. It is about the textual analysis of the law, in which judges and legislative drafters are seen as writers, their work is treated as literature, and studied as such. A module on Law and Literature can include all three strands of the subject or select among them. I want to highlight that in this picture the course instructor can choose to teach the above areas of the subject using the normal methods of lectures, case analysis and others but can also run a writing workshop, in which students are required to write legal documents, critique each other’s work, and re-write considering the criticism. Creative writing workshops offer productive models for legal writing classes, which can thus be run as law as literature workshops. Students can then also read various texts, creative or not, and engage in a critical discussion of both the style and content of the texts. They can be examined through essays written in response to assigned texts. Literature can also be main-streamed in all course-units and modules, by requiring course instructors to assign specific literary texts for reading and discussion, through which the content of the subject they are teaching can be understood, besides merely reading the black letter of the law. 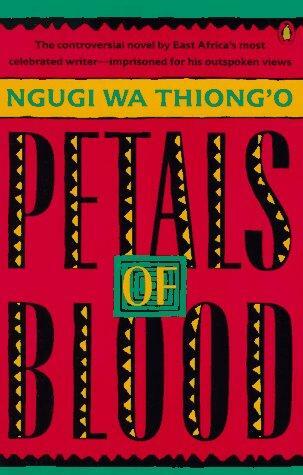 Thus, a class on Labour Law can include literary texts in which labour movements are dealt with, such as Ngugi wa Thiong’o’s seminal text Petals of Blood, or Okot P’Bitek’s White Teeth in which an Acholi young man travels to work on sugar plantations in the east of Kampala. Teaching Legal Postcolonialism can be done by reading, analysing and discussing the various novels by Chinua Achebe and other postcolonial writers dealing with the imposition of colonial legal and other systems onto the colonised, and how these have affected these societies. Teaching Literature and Law as an independent course-unit/module should not necessarily mean literary criticism and literature generally can’t be main-streamed in other course-units. There is no doubt that African legal academia needs the Law and Literature movement perhaps more than any other continent, given the history of the law on the continent and the political commitment of many of Africa’s writers. African legal academia needs to look beyond their inherited colonial blue-print. Africa is a diverse continent, and much needed comparative approaches to the law can be brought into view through literary works from home and abroad (but within Africa) assigned to students. There are already hooks in the pond and I think it is only a matter of time before we see big harvests of new scholars and approaches developing law and literature on the continent and beyond. I have been silent. Have I? Today, I guest blog at Africa in Words on a subject, very close toy heart. Law and Literature. Go over there and read my take on how we train law students in East Africa today and how Literature can vr useful in reforming our current methods. You will read more from me, about Law and Literature moving forward. Thanks for reading. 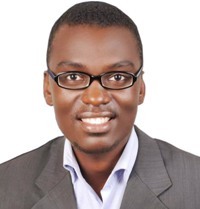 Thank you Bwesigye for this intellectually stimulating and practical piece on the inclusion of African Literature in Legal studies in East Africa. In the piece, you give about two options for implementing this proposal. I support the one which suggests the inclusion of this in each course unit. This is for the fact that each course unit has its own unique history and relevant East African literature. So the relevant books will be included in the course outline. To guarantee implementation, lecturers will be encouraged to design some exam or course work questions from some of the incidents in these books. This incentive will force the students to “appreciate” their history and consequently have a contextual conceptualization of the law. It even makes it fun to study! Creating a separate course unit for this runs the risk of reducing this great idea to merely passing exams as opposed to “humanizing” the law. The concept may get distorted! Thank you for this novel thoughts. You have my support!